You are here: Home / Travel / Costa Rica / The Gift of Happiness & Visiting the Happiest Country in The World! When I was invited to go on a trip to Costa Rica, I was stunned. I had only ever heard amazing things about Costa Rica. To travel there and take in the sights, I was simply flabbergasted. I think at one point, I had to pinch myself in order to believe it. Being a Latina, I was overwhelmed with excitement to be able to visit a Spanish-speaking country. Not to mention, a chance to re-encounter what I left behind so long ago. I’ve longed for the delicious fruits and authentic Latin cuisine. The kind that have forever dwindled with desire in my fondest memories. What is the Gift of Happiness? 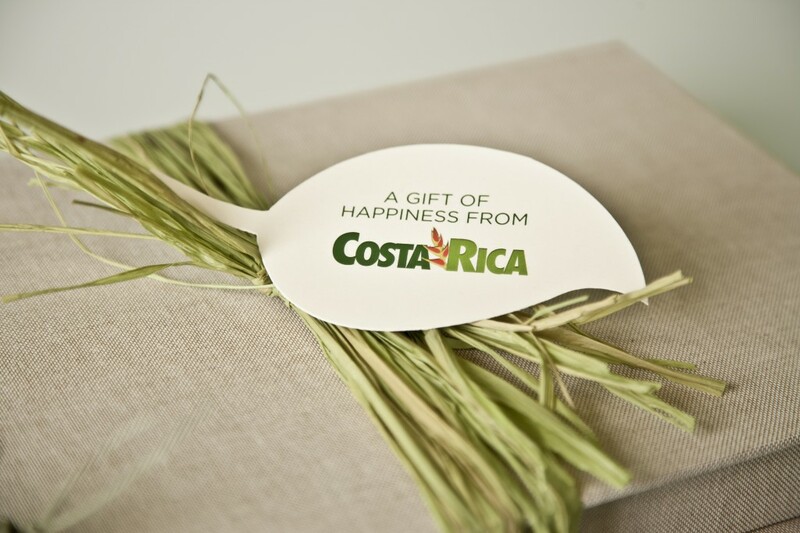 The Costa Rica Tourism Board launched the Million Dollar Gift of Happiness campaign, which included giving away a million dollars worth of trips to Costa Rica. They gave away these gifts to bloggers and influencers either through Facebook or directly. 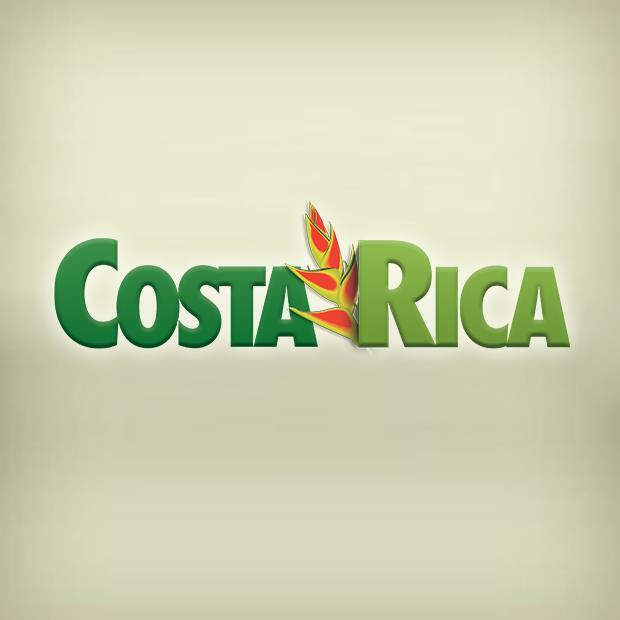 The winners were invited to experience Costa Rica’s Certified Sustainable Tourism and a chance to see why Costa Ricans are such happy people. People receiving Gifts of Happiness didn’t just get an email. 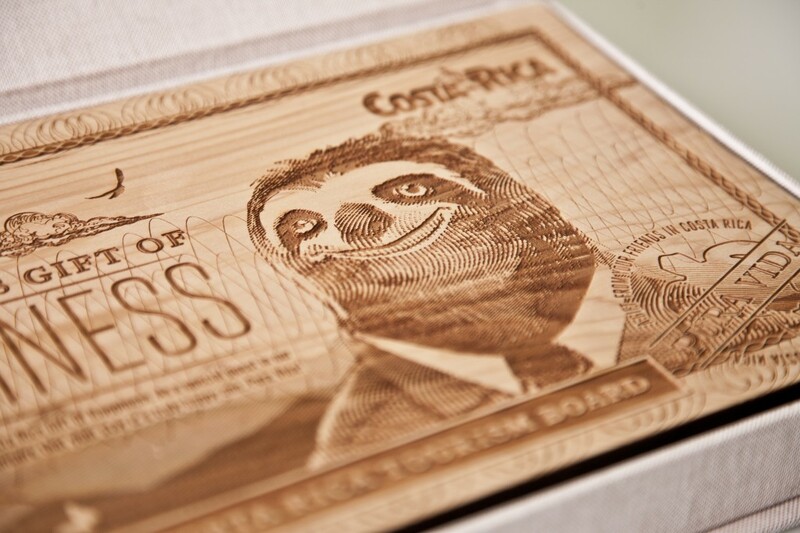 They got a handcrafted box, a letter from the Costa Rica minister, and responsibly sourced wood engraved with a well-dressed Mr. Sloth. We were excited to be traveling but, even more, excited knowing that everywhere we’d be visiting was sustainable. It was also an immense pleasure to be able to eat natural, locally grown and organic foods throughout the whole trip. We were given the choice between many packages. You had the choice to pump up your adrenaline with the Adrenaline Package. Or choose to explore paths that are not often traveled with the Nature or Wildlife Package. You had the choice to fully immerse yourself in Tico culture with the Authentic package. One of the other packages is the Adventure package. We chose the Romance package. Since our anniversary was on December 31st, we figured that we would take advantage of the Romance package and reconnect while exploring a new country with the Romance package. 8 days and 7 night of pure bliss and relaxation. During the next eight days you will have the chance to reconnect with you inner self. From the moment you arrive to Costa Rica, you will be transferred to a beautiful property immersed in a mystic forest. What a better way to reconnect with nature, while enjoying a spectacular view from the whirlpool of your suite. The next destination will offer you the opportunity to connect with the forces of nature admiring one of the most active volcanoes in the world, from the revitalizing hot springs of your hotel. While in Arenal area, you will visit Sonafluca, a rural community where people are extremely proud of what they’ve built with what little they have. Your last destination is beautiful Arenas del Mar, to experience the soothing power of nature through warm waters and gentle waves in this serene, unspoiled corner of Costa Rica. We were able to take in so much culture, nature, adventure, romance and happiness during our trip. We also explored small places along the way to each destination which made it even more special. One of the most profound realizations that we discovered whilst traveling abroad and in Costa Rica is the people. Within the next week and a half, I’ll be sharing my husband and I’s Costarricense romantic adventure in this vast and lush country of happiness. Have you ever been to Costa Rica and will you follow along with us? For the past 10 years Costa Rica has been at the very top of my list of places that I dream of going to! I think you can find great deals on going and enjoying Costa Rica. I will be going back when I can. It was definitely on my bucket list. What an amazing experience! I would love to visit Costa Rica. I can not wait to follow along. My oldest daughter wants to go to Costa Rica so badly, she's researched it! We've promised that we'll send her when we win the lottery. I doubt highly that she would eve come back. It truly is a beautiful country. 🙂 I didn\’t want to come back, I wanted to get the girls and bring them there. 😀 It was a relaxed atmosphere. We fell in love. What a great opportunity! I will be following along; this sounds like quite the opportunity and I am thrilled to be able to follow along. Thank-you Rachee, I think Costa Rica is a destination that is rich in culture and so much more! Definitely one for the bucket list. I think it\’s an absolute MUST. Costa Rica is beautiful in so many ways. Sounds like an amazing trip! I've never been but would love to go! WOW! It's on my bucket list for sure. Sounds like such a beautiful place! I've never been to Costa Rica but boy would I love to. Can't wait to follow your adventure. Thanks so much, it\’s definitely one to visit. Wow, what an incredible opportunity to visit such a beautify country! I look forward to reading all about it Nancy! WOW Nancy! Yes, of course I'll follow along to hear about your adventures! That's great that you were selected for such a wonderful experience! I've always wanted to visit Costa Rica, but have never had the chance. Thanks! It was definitely an unbelievable experience. 🙂 All week and next week too. 🙂 Thanks for following along. Costa Rica is definitely on my bucket list. It was on mine too. It a dream come true. I have never been but it is on wish list! I can't wait to hear about it! I went a few years ago for two weeks and fell in LOVE with the place! We went for 8 days and 7 nights, we fell in love. It is on my Bucket List to visit Costa Rica so I will definitely be following along! The happiest country in the world? I didn't know it was known as that, but I certainly know a lot of people who have come back happy after visiting Costa Rica. Yes, if I can say anything about the country, it is the people and the HAPPINESS.